Irene McIntosh, age 90 of Clarksville, passed away on Saturday, February 9, 2019 at 11:50pm at her home. Born April 18, 1928 in Tupelo, Mississippi, she was the daughter of Thomas and Mana (Buckanan) McIntosh. Irene’s biggest accomplishment in life was being the cook for Elvis Presley. She loved it when it rained and enjoyed watching the Price is Right and Wheel of Fortune. Irene also loved talking on the phone and would make her rounds everyday talking to the family. Survivors include her children, Samuel Lyons, Mary Carter, Thomas Lyons and Loletha McIntosh-Lyons; two grandsons that she raised, Dashon Myles and Lindell Lyons. Irene also leaves behind several other grandchildren, great-grandchildren and great-great grandchildren as well as nieces and nephews. Irene was preceded in death by her parents; children, R.C. Lyons, Rush McIntosh, Mary Louise Lyons; and siblings, Lindberg McIntosh. To send flowers or a remembrance gift to the family of Irene McIntosh-Lyons, please visit our Tribute Store. 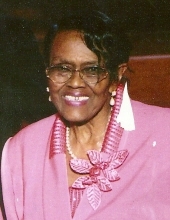 "Email Address" would like to share the life celebration of Irene McIntosh-Lyons. Click on the "link" to go to share a favorite memory or leave a condolence message for the family.